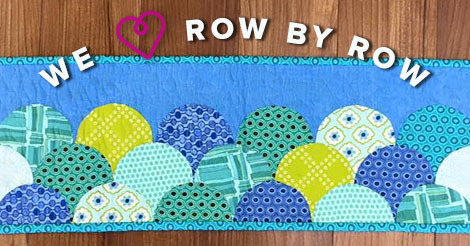 Summer is winding down but Row by Row is still going strong! We’ve picked out some of our favorite rows from some great shops to share with you. If you’re traveling around, you should pick up these row patterns along the way. It’s not too late to get your hands on some great patterns! The week has finally arrived – it’s ROW BY ROW time!